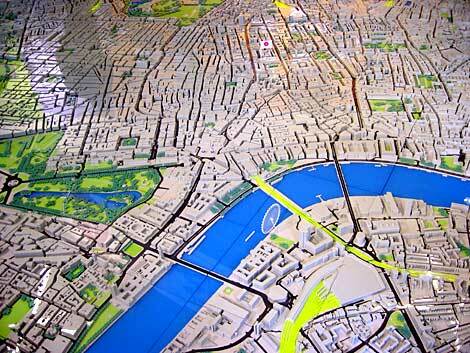 New London Architecture: London Eye, St James Park etc. London Eye, St James Park etc. Part of post at cityofsound on New London Architecture exhibition, Store Street, London.